We have a fun challenge planned for you this time! The theme of this challenge is "Tags"! I love making tags because they are so useful. They can be added to layouts, cards, gifts and used as bookmarks. 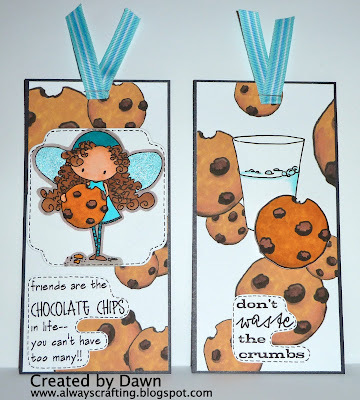 The prize for this challenge is a $10.00 tiddly inks gift card!! Wish I could win this prize because there are so so many tiddly inks stamps I want. Check out Christy's stamps here. I am sure you will find plenty you will want too! 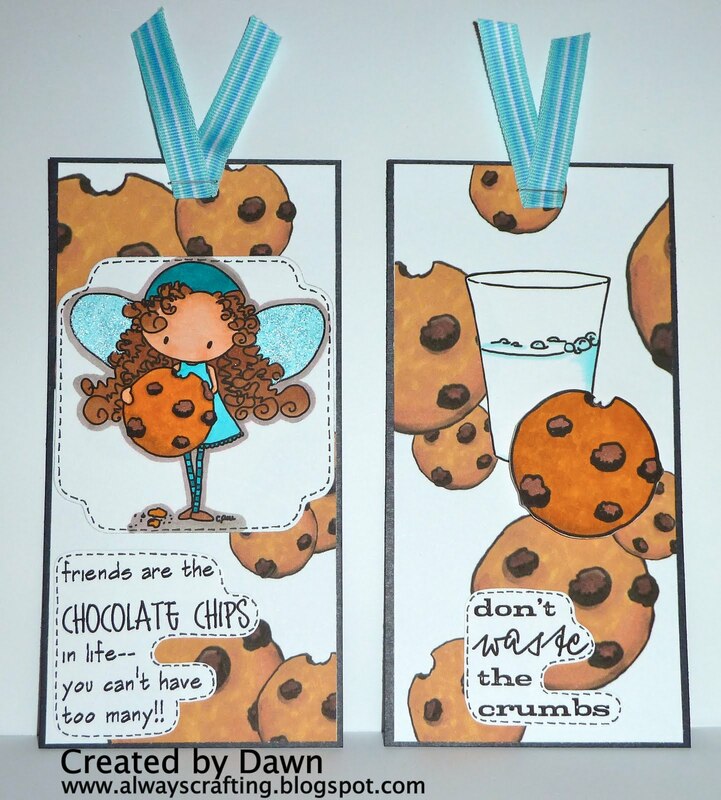 The cookie bugg image came with digital pager, which I used on the tag above and below, and two sentiments, one of which I used on the tag above and the other sentiment on the tag below, plus two extra images (a glass of milk and a cookie) which I used on the tag below. The extras given with this image make it so versatile! What could you make with all these wonderful images? Go over to Crafting for all Seasons and add your project today! Great tag Dawn, that image and those papaers make me feel hungry.